Aha! Seminars, Inc., producer of The Genealogy Guys Podcast at http://genealogyguys.com, is pleased to announce that Cyndi Ingle, creator of Cyndi’s List, will join the podcast with a regular feature segment beginning on April 22, 2019. Cyndi Says will showcase a different set of resources on each episode from her award-winning and globally recognized CyndisList.com, a free categorized list of more than 336,000 links for genealogical research. A link to her featured resources will be included in the podcast’s show notes, at The Genealogy Guys Blog at http://blog.genealogyguys.com, and on the podcast’s Twitter feed. Cyndi Ingle is the creator and innovator behind the award-winning and globally recognized CyndisList.com, a free categorized list of more than 336,000 links for genealogical research. Cyndi, a genealogist for more than 39 years, has expertise in using technology for genealogy. 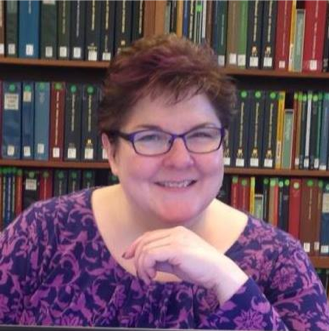 Additionally, her many active years in genealogy have also resulted in specialties for research in the United States and bringing together traditional research methodologies with organization, computers, software, and the Internet. Cyndi’s List was founded 23 years ago and is the go-to website for quality, reliable, and up-to-date resources. 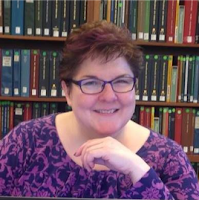 Cyndi is the recipient of several awards and honors, she has served in several capacities for genealogical organizations, she is an internationally-known guest lecturer, and she has authored numerous articles and three books.